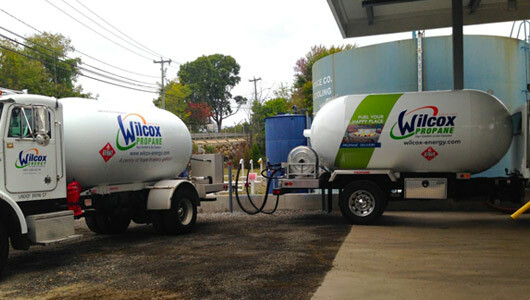 Wilcox Energy is your local choice when you are looking for a reliable and professional full service home heating oil delivery and propane company. At Wilcox Energy, we are committed to keeping you comfortable! We deliver bioheat heating oil and provide 24-hour emergency service to homes and businesses in Guilford. We provide service along the CT shoreline and lower river valley. Plus, we don’t just work here, we live and raise our families within the towns we service too! We are a true local company, when local really matters. Count on us to be there for you, day or night. Experience the Wilcox difference today. • We offer Propane installation, delivery and service with our own propane storage tanks right here in Westbrook. • We offer pricing and payment options to fit your needs. Learn about our capped and fixed price programs here. • In-house 24-hour emergency service. Because we are local, we will be there when you need us, 24 hours a day, 7 days a week. Call us for all of your air conditioning needs too! Thinking about installing air conditioning? Whether you have duct work or not, Wilcox Energy has a solution for you. Call for your free in-home estimate today.